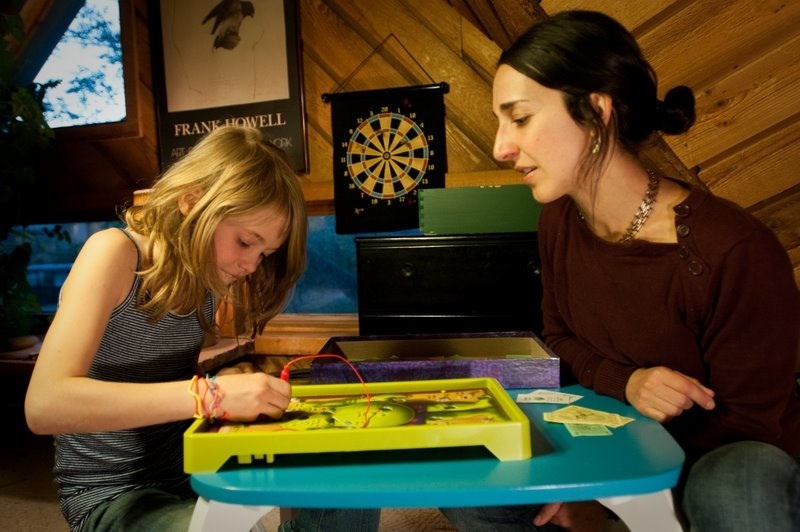 The trouble with two: Two homes, two beds, two different parenting styles, different routines and rituals, time spent moving back and forth, shuttling their favorite belongings in order to ease the transition. Not to mention mom and dad preoccupied with their own affairs, frustrated, angry (or worse) with each other, stressed about finances and legal expenses, exhausted from single parenting. 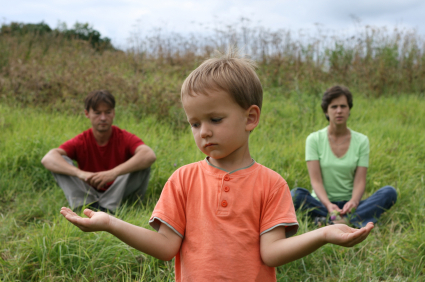 Even in the most idyllic of separations, children feel the effects of divorce. They experience the stress of their caregivers, as well as their own anxiety and fears, whether conscious or unconscious, about a number of questions. Was it my fault? Will I get to see mommy or daddy when I want to? Will I have to change schools? Why am I the only kid among my friends whose mommy and daddy live in separate houses? Why can’t we all live together like we used to? Will they still love me the same? With the prevalence of divorce in our country, these are questions that nearly half of us adults will have to answer for our children at some point in their lives. So it is vital to your child’s sense of well-being and ability to cope that you consider your child’s feelings and keep an open dialogue about the changes that are happening in your family. Assure kids that it is absolutely not their fault that their parents are separating. Let them know that both parents still love them as much as ever. And never, ever speak negatively of the other parent to or in front of your child (and remember that little ears can hear a long way). Kids often adjust to the divorce by exhibiting new and often difficult behaviors, meant to communicate the pain and stress they are under as a result of this major change. Be sensitive to the changes in your child’s behavior and, rather than punishing, listen to the non-verbal messages he/she may be trying to send you. As a psychotherapist who specializes in Play Therapy, many of my young clients are struggling with the residue and the emotional impacts of their parents’ divorce. Typically, the higher the degree of conflict between parents, the more stressed the child seems to be; but this isn’t always the case. 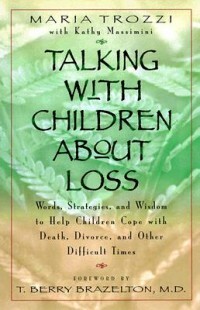 Even in amicable separations, children can become quite anxious and overwhelmed by the change. In therapeutic play children process their internal emotional experience (which is often stored in the unconscious) by using the toys and the play to symbolize what they are feeling. With children of divorce, I often see an unsettling quality, a constant sense of back and forth, in the play: the water moves back and forth between containers, the child moves back and forth between the playroom and the waiting room, the characters in the play must unsettlingly move back and forth between places, often the child embodies this sensation by moving or rocking back and forth in his/her own body. I also see a great need for a sense of control and predictability. This child will announce into a toy microphone or loudspeaker what’s coming next each step of the way (communicating her stress around unpredictable changes). She will move not only her own pieces but mine as well when we are playing checkers so that she is fully in charge of what happens in the game. Children who are experiencing even higher levels of stress will often turn to protective and assertive toys such as handcuffs and toy weapons in order to exert the sense of power and control that they are needing to feel as a response to their parents’ separation. When we pay close attention to the subtleties of a child’s play we learn the ways that they strive to express their internal experience in order to feel understood and safe in themselves again. Play Therapy allows children the space to explore these deep emotional experiences that are often stored in the unconscious mind. Through the play they process stressful and overwhelming feelings and integrate their capacity for self-soothing and self-regulating. Simultaneously, they gain tools for coping with their stress and words to express their feelings so that they do not need to use difficult behaviors in order to communicate. It also gives parents a snapshot into their child(ren)’s emotional world, ideally giving parents more opportunities to meet the child’s emotional needs. Children of divorce develop a very special bond with the therapist who becomes a trusted ally, outside of the family, in the child’s process of adapting to his/her new family structure. With the therapist’s support, the family can express the challenges that divorce has presented and heal by experiencing new opportunities for growth and connection with each other. This article was published in the fall issue of Boulder County Kids. I want to share it with you here, as well, to give families some tips and strategies for starting this school year off with lots of confidence and smiles. Enjoy!!! Another summer vacation is coming to an end and we start thinking about the school year ahead. Whether this will be your child’s first time stepping into a classroom or he/she is a seasoned veteran of scholastic endeavors, this transition marks one of the major events of your child’s year. And, as with any major transition, there will naturally be emotions that come up as kids adjust to a new situation. Think about it, new teacher, new classroom, different schedule, different classmates or even an entirely new set of peers… that’s enough to elicit an emotional response from even the most even-keeled kiddo. So, as you’re starting to think about back to school shopping and school supplies, take some time to help your child prepare emotionally for the transition into the new school year. It will help your little one’s confidence, resilience and their social and academic performance. Here are some useful tips to help you and your family get ready for fall. 1. Communication is Key: Good communication is honest and consistent. The purpose is to hear and understand your child. Rather than give advice or impose ideas on how they “should” feel, listen more. Sometimes, when parents let go of the need to problem solve or give advice they actually feel liberated, finding the space to be positive, empathic and connected to their children. Also, keep in mind that logical responses and learning don’t happen when kids are overwhelmed or upset. Rather, give children room to express their feelings in healthy ways. Teaching moments can happen when they are calm and happy again. 2. Kids Need Predictability: While they may often speak and act in ways that surprise us, children thrive off of consistency and predictability. Introduce a regular, frequent conversation about what it will be like to be back in school again. Initiate the school-year routines several weeks before the big first day. Modify sleep and eating schedules so that the transition doesn’t come as a shock to their systems. Have a calendar or schedule clearly visible with important back-to-school related dates—and let them help you create and add to it. The more children know what to expect, the easier it will be for them to smoothly fall back into the routine. 4. Time to be free: With school, sports, music and a range of extracurriculars, kids’ schedules tend to fill up fast. 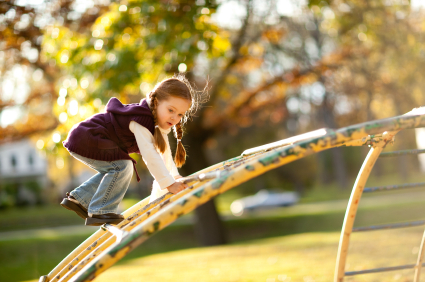 Be sure and arrange time each day and especially on weekends for kids to have free, unstructured playtime. Turn off the television and let their imaginations run wild. Pretend play is an essential part of helping children learn to self-regulate, to create and follow rules and to develop their imagination. Use this as an opportunity to bond with your kiddo and to get in touch with your own inner child, embracing the creativity and magic of childhood. 5. Be involved: Find ways to participate in your child’s school experience. Talk to the teacher about your son or daughter’s social and emotional experience. Check to make sure he/she is regularly eating meals and drinking water. Volunteer in the classroom. Attend events and school association meetings. Get to know other parents and arrange family play-dates. Your involvement will be something your kids will always remember and appreciate. A bit of forethought and a few simple steps are bound to make the coming school year a breeze for you and, most importantly, for your child. Those aren’t symptoms, I’m just dys-regulated. We humans have a 2-part nervous system: one part gets us wired up (sympathetic nervous system) and the other part helps to calm us down (parasympathetic nervous system). Simply put: From the time we are born, our brains pick up signals that trigger one part of our brain or the other. If we perceive something in our environment as a threat, our nervous systems reacts, quickly kicking us into fight/flight or freeze mode. Fight/Flight are signs that the sympathetic nervous system has taken over and Freeze is a sign that we’ve gone into extreme parasympathetic functioning. What does this mean for your child? When your little one (or big one) is acting out or shutting down, they are feeling extreme levels of threat and nervous system dys-regulation. Their brains and their bodies have literally moved into defense mode in order to protect them from the threat. When an infant or child has repeatedly experienced threats or stressers, his/her nervous system starts to literally operate at one extreme or the other (hyper or hypo-arousal) nearly all the time. This child has learned that in order to survive, he has to be poised to fight/flight/freeze at all times. When a child is in an aroused state of being, he cannot think rationally and we cannot expect her to. What this means is that something seemingly innocuous can trigger a reaction that seems totally inappropriate to us “rational” adults. But to him, it’s his way of surviving in the world. When we see adults who have been diagnosed with a psychiatric “disorder”, what we’re really seeing is extreme levels of nervous system dys-regulation that have become a way of being for the individual. Diagnoses, however, are based on external symptoms, which are only half of what’s really going on. Typically, when a person is exhibiting hyper-aroused behaviors (aggression, hyper-vigilance, anxiety…) he/she is actually quite hypo-aroused (shut down, numb, unmotivated, lonely, isolated) on the inside. It is even theorized that children who are diagnosed with ADHD move and fidget as much as they do in an effort to wake themselves up from the numbness they’re feeling internally. For children, play therapy is a place where they express their feelings and bring their hyper/hypo-aroused energy. They learn to recognize and name the feelings of dys-regulation, while also getting to have experiences of regulating their nervous systems. We can also help children learn to recognize these feelings and regulate their systems at home. Since they’re not capable of cognitive thought in this moment (just like you wouldn’t be thinking rationally if you were feeling threatened), we need to meet them at the level of their fear and overwhelm. Acknowledging that they are scared and feel hot/cold/numb/tense in their bodies is an excellent place to start. To help regulate the nervous system, the child needs to have experiences of the opposite state that he/she normally tends to be in. And, most importantly, as parents we can’t expect our kids to have regulated nervous systems if we are not making sure we are regulated ourselves. Read on for some examples of each state and some activities we can do to train our nervous systems to be healthy. Why me? Why now? 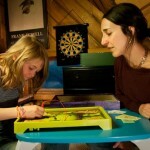 Why Play Therapy? Ever since I can remember I have relished in the experience of being, interacting and playing with children. I myself was a young child when I’d care for the younger offspring of my parents’ friends, taking special delight in the way they would observe and absorb the world around them through their senses. Time went on, I got older, and I continued to seek out opportunities to work with and learn from the miracle of a child’s experience. I finished high school and started university as a pre-med, following the path that I’d been told was right for me. I thought perhaps being a pediatrician would fulfill my dream of working with children. Just a few 8 am organic chemistry and physics classes at UC Berkeley quickly taught me that, while I still yearned to help kids, I was not cut out for the intensity and competitiveness of the medical field. Then I took my first psychology course, and that was it. I knew that I had found my path: I wanted to connect with and get through to children by exploring their brains, emotions and behaviors on a deeper level. Having come from a home that could be described as anything but peaceful, I felt I had an understanding, perhaps even a deeper sense of compassion for children who hadn’t received the validation and support needed to build healthy emotions and self esteem. Over the next ten years, I explored many ways of being with kids, as a nanny, in camps for girls with ADHD, in research examining how kids form memories when they are under stress, in classrooms, in nature, in clinics and beyond. I hoped that my presence, support and guidance would be a medium through which they could feel how magnificent each of them truly was. I went on and finished my undergrad and then obtained my masters degree in Psychology. While none of the institutions I attended had exactly what I was looking for, I took every child development and psychology class I could, learning as much as possible for me about the ways children perceive and process the world. After finishing graduate school, I needed an opportunity of my own to take in the world, through nature, movement, friendships and play. I moved to Italy and worked as an English teacher for several years, having an unforgettable experience and helping me learn about myself and my universe in entirely new ways. It was amazing. I knew I needed to be there and I knew the exact moment that I needed to come back to the States. I was ready and eager to take the culmination of everything I’d learned in my life thus far, in school and out, and pour it into a career that would be a journey of growth for both myself and the people I’d be helping. I don’t know exactly how I discovered the work of Drs. Byron and Carol Norton. Through some random Google search on play therapy, I suppose. But it was a search that has changed my life and put me in exactly the right place doing exactly the work I’d been looking for all these years. Through my training and work with the Nortons, I have been able to witness over and over again the ways that children know, really know, exactly what they need to heal from pain and trauma. It simply takes a medium of safety and nurturing, and someone who is willing to speak the language of play, for them to go into their pain and re-structure their relationship to it. Play therapy gives children an opportunity to separate themselves from their perpetrators and their pain and to find themselves again. In the playroom, they are allowed to be anyone and anything they need to be because we play therapists trust that healing happens when you are allowed to show up as your fullest self.